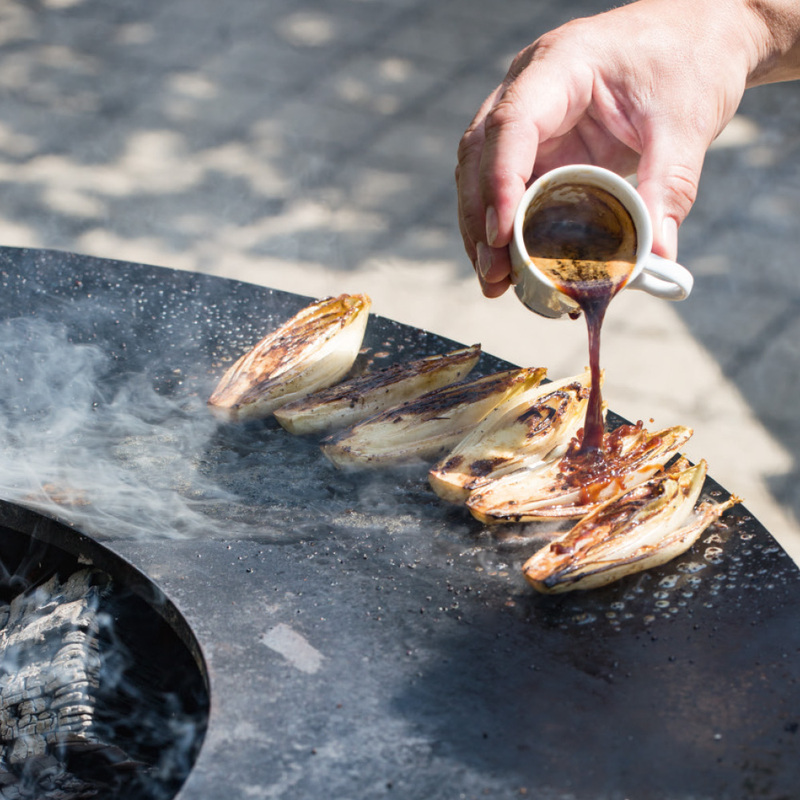 For those looking to take their flavour experiments to new heights, there's no combination more under-used than coffee and chicory. Depending on your espresso, you'll find any number of profiles to explore — from cacao in Colombian blends, saccharine plum notes in blends from Rwanda, or spicy, fudgy complexity in Indonesian single origin beans. On the other hand, the woody, almost aniseed flavour that makes chicory so exciting is the very thing that can cut through the delicate boldness of your coffee. That means that this recipe is potentially very different every time you try it. What better way to demonstrate your culinary talents? The best news is, even if this recipe looks impressive, it's actually very easy to do on your OFYR. 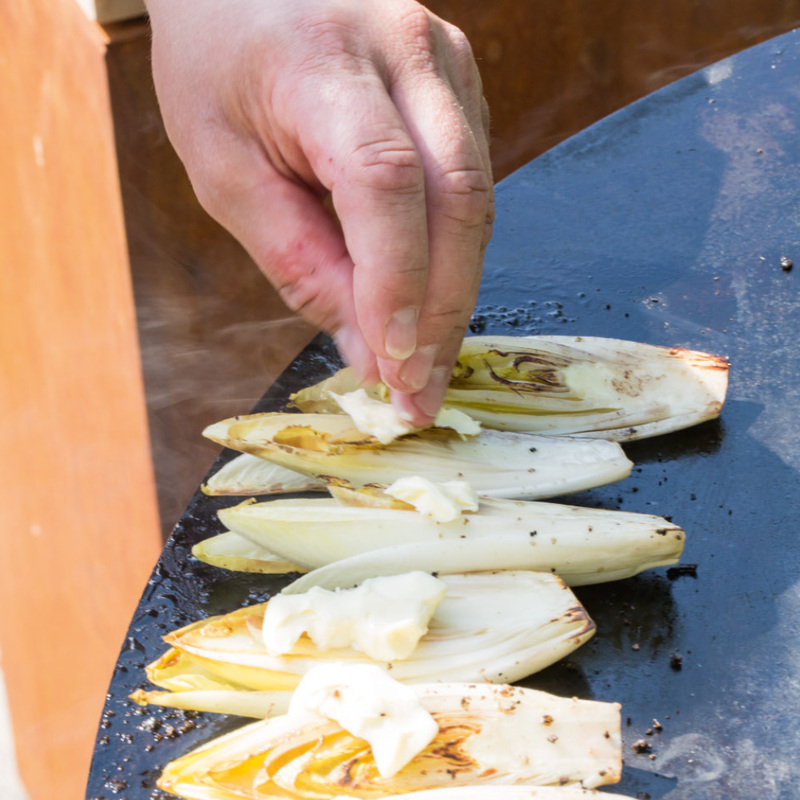 Cut the chicory in half and bake them for ten minutes on the cooking plate. Before removing from the cooking plate, sprinkle with the sugar and salt on each side. To finish, pour the coffee over the chicory halves. Delicious served with goose liver, pork or mashed potatoes.